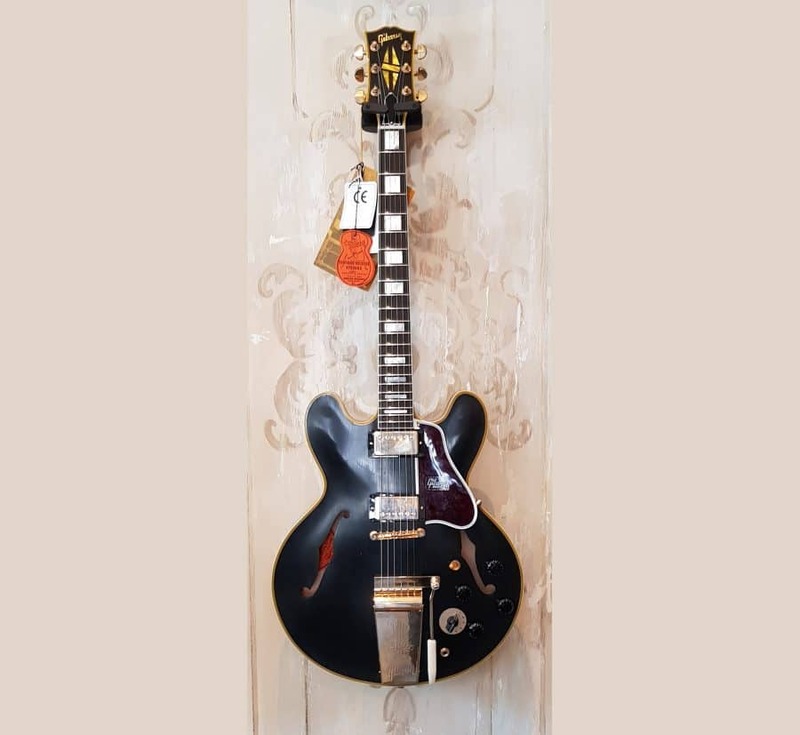 We proudly present our very first made to measure 1959 ES-355!! In this particular case we elected for a heavy aged, solid one piece ebony board with an all ebony finish to boot! Consistent to true historic spec, this guitar features period correct electronics, aniline dyes, hide glue, MHS pick-ups, maestro and gold hardware. Quite simply spellbinding and a real ode to the unparalleled craftsmanship of Gibson Custom. Thank you Thom Fowle!